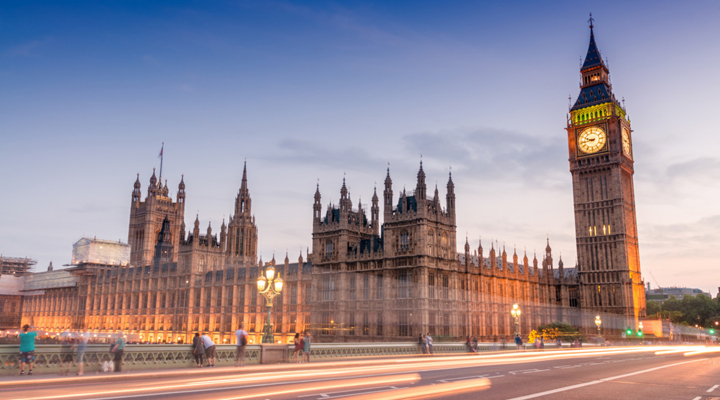 CEA’s Senior Technical Consultant, Malcolm Kent, turns the spotlight on the rise of the Low Emission Zone in the UK and Europe. 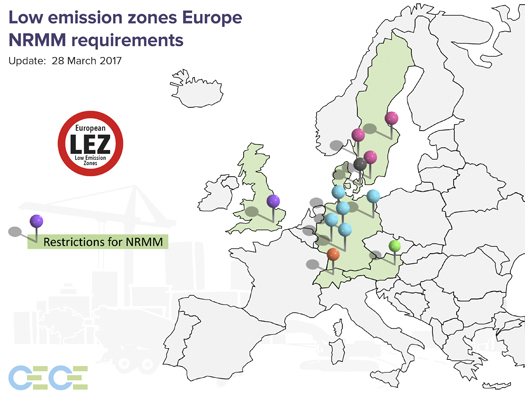 By now, pretty much everybody in the industry will be aware of the London Low Emission Zone but awareness of the others around Europe might be more patchy. There is a variety of national, regional and city schemes in different countries and these are set to expand. The background to all of these schemes is the problem of air quality, and particularly the EU rules setting limits on acceptable pollution levels. It was found some years ago that several member states, including the UK, were in breach of the rules in a number of cities and countries are under threat of legal action and hefty fines from the European courts. This is not just a matter of legalities, of course, as evidence has grown over the years of the impact on human health of pollutants in the atmosphere. Although emission controls cover more than one aspect of what comes out of the tailpipe the key concern in recent years has been very fine particulates. Because of this various cities and countries around Europe have introduced their own rules in an attempt to improve air quality where it has been below par. In London this started under mayor Ken Livingstone with the on-highway sector – still much the biggest contributor to air-borne emissions – followed up under Boris Johnson by adding the scheme for non-road mobile machinery (NRMM). Across Europe the situation is unsurprisingly complex but a quick look at the graphic below shows that there is something of a geographical pattern. The graphic below has been produced by the project team working within the Committee for European Construction Equipment (CECE) on engine emission matters and shows right away that the schemes that we currently know about are in the Germanic and Nordic regions plus the UK. Other countries might have on-highway schemes (for example the restrictions for cars in Paris have received a good deal of press coverage) but these have not yet been extended to off-highway machinery. Although the schemes are generally geographical in nature – cities or regions – there is another way that schemes are introduced: on a project basis. The first such scheme that was proposed in the UK was for the London 2012 Olympic site. This came to nought in the end but the one that is very much live just now is the construction of HS2. You could think of this as a linear low-emission zone, covering the environs of the construction works from London to Birmingham, but it is probably more helpful to think of it as project based as the restrictions will not apply to anything outside of the HS2 fence, even though machines might be just a stone’s throw apart. So, do all these schemes around Europe make the same technical demands on machinery? You won’t be surprised to read that the answer is a very firm “no”. For many years now, Switzerland has mandated the use of a diesel particulate filter (DPF) for machines with engines over 18kW. This was well in advance of Europe-wide emission limits which pushed designers in that direction, so it has been common for some years now that either OEMs have supplied a Swiss version of a product – if they don’t fit a DPF as standard – or their dealer has retrofitted a DPF before sale. That begs another question: how does anyone know that a retrofit solution is any good? Could it be a shiny stainless steel can with nothing inside? The Swiss made sure there were no shiny can devices (no surprise there) by defining performance requirements for a DPF and requiring that they were tested. However, it was also identified in Europe that due to the proliferation of local air quality requirements, and the likely pressure on machine owners to buy retrofit devices, a performance specification that could be applied more widely was needed. The body that took this up was the UN ECE – Economic Commission for Europe. This is a broader body than represented by the European Commission as more countries are signatories to the relevant treaties than are members of the EU 28. The outcome of the work was published as ECE Regulation 132 and there are some really key provisions in it: The device must get the emission levels of an engine to meet the performance requirements of an EU “Stage”. There must be full consideration of the risks of installation, such as impacts on visibility due to installing a DPF unit and the creation of risks from hot surfaces. This regulation, then, means that any local authority has a set of tools to use when setting requirements for a LEZ. Firstly, they can require that machines comply with a particular EU Stage, and secondly, they have a way of ensuring that retrofit devices are up to scratch, if installed. However, the ECE regulation is relatively recent (2015) and some schemes were in place before it was published, meaning that they either set their own technical requirements, like Switzerland, or leave things vague. The other element, which is missing from this set of tools, is the legislative mechanism. That will be different from place to place. A look around the schemes which are already in place gives an idea of how varied they are in their requirements and implementation schedules. Here are a few examples. There is a national scheme and one for Vienna. The national scheme requires machines to comply with Stage II now and Stage IIIA from next year but only applies in the winter months (October to March) and only in specific zones which are having trouble meeting the EU limits for fine particles in the air. On the other hand, the Vienna scheme requires at Stage IIIA but not until 2019. Only Copenhagen has restrictions, with private contractors being required to have DPFs fitted on machines used within the LEZ. Berlin has required Stage IIIB since 2014 (IIIA for engines under 37kW) with older machinery having to be fitted with a DPF, whereas Mainz requires that anyone tendering for public contracts must have a DPF fitted. Note that this means that some brand-new machines with Stage IV engines installed might not comply! The state of Baden-Württemberg is one of the more stringent, requiring either Stage IV or retrofit DPF from July of this year. They also require that from 1st January 2018 all retrofit devices must comply with the ECE regulation, meaning that there will be a high degree of confidence that the machine will in reality comply with the legislator’s intentions. Sweden has gone a different route. All NRMM must meet at least Stage II (which came fully into effect nearly 14 years ago) or, if they were outside of the scope of the early stages (i.e. under 19kW or over 560) they must not be more than 10 years old. Requirements in some major cities are more strict: Stage IIIA required or machinery under 6 years old. All of these requirements are under review and may become stricter still. The future: uniformity or divergence? There is no sign that this patchwork will come to resemble a blanket. Schemes are being updated individually and new ones are in the pipeline. The situation for contractors wishing to move machines around Europe is therefore potentially complex in making sure that they comply with local regulations. On the plus side, the publication of the ECE regulation brings some clarity to the question of the performance of retrofit devices and most local authorities have based their requirements on the EU engine emission stages, meaning that newer machinery complies automatically. This has been a key element of the input made by industry bodies during any consultations. At the least, once we are into Stage V, we can hope that it removes any further questions and removes the motivations for setting up local schemes. For some time, at least! 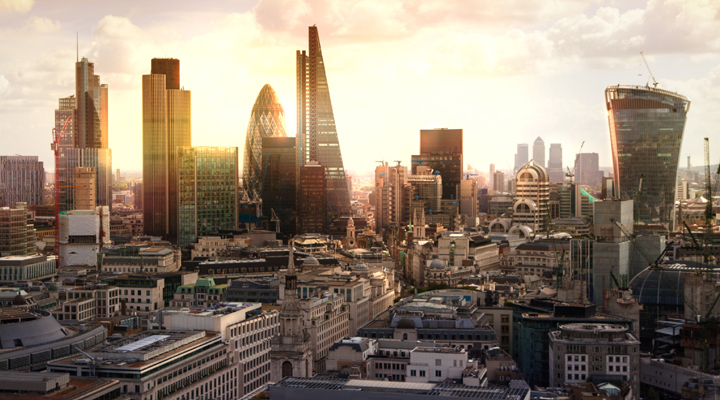 London has used the rather clumsy legislative tool of making compliance with the LEZ requirements a condition of planning consents for major developments. The enforcement of this is the responsibility of the relevant borough, meaning that it is rather patchy. This has not escaped the notice of the Mayor, who has asked the government to give him better powers to set and control NRMM emissions. This would apparently entail a national machine registration scheme, similar to the DVLA registration of vehicles. Clearly, as this would require some significant legislation, and the civil servants are somewhat busy with Brexit, this might not happen too quickly, but watch this space. As for HS2, this requires cleaner machines, and sooner, than London for machines used on the project. These conditions are part of the contract tender requirements, meaning that HS2 as a project has better prospects for controlling emissions than many local authorities have of controlling emissions in an area. From the start HS2 required Stage IV for the Central Activity Zone and Stage IIIB for everywhere else, moving to Stage V and Stage IV respectively from 2020. This means that the HS2 project is currently the most stringent known about in Europe.